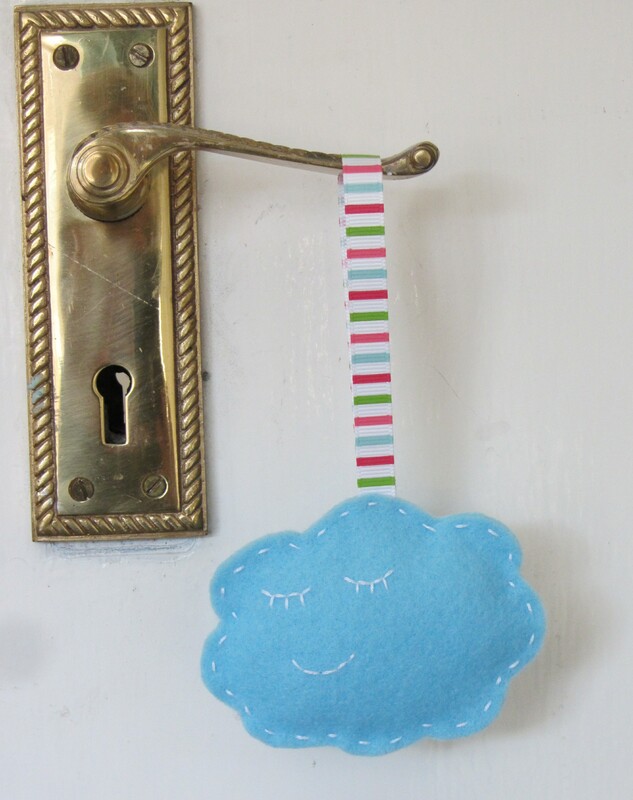 This happy sleepy cloud has been designed to hang on the nursery door to let everybody know when the little one is asleep. Enclosed in the kit is everything you need to make one cloud from scratch, including three different ribbons to choose from and felt scrap to practice your stitching. Requires basic sewing skills. 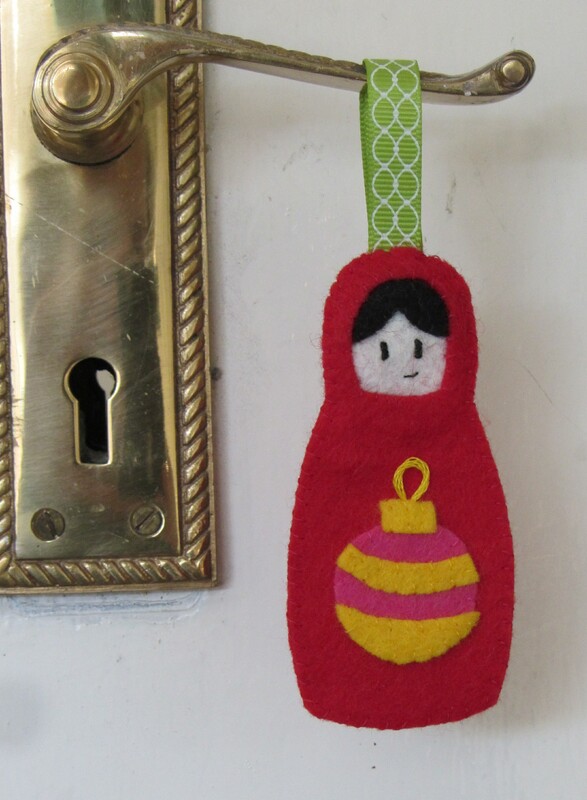 Made of a lovely 30% wool red felt, this Russian doll shaped ornament will look perfect on the Christmas tree. It features a pink and yellow bauble just to make sure everybody gets in the Christmas mood. 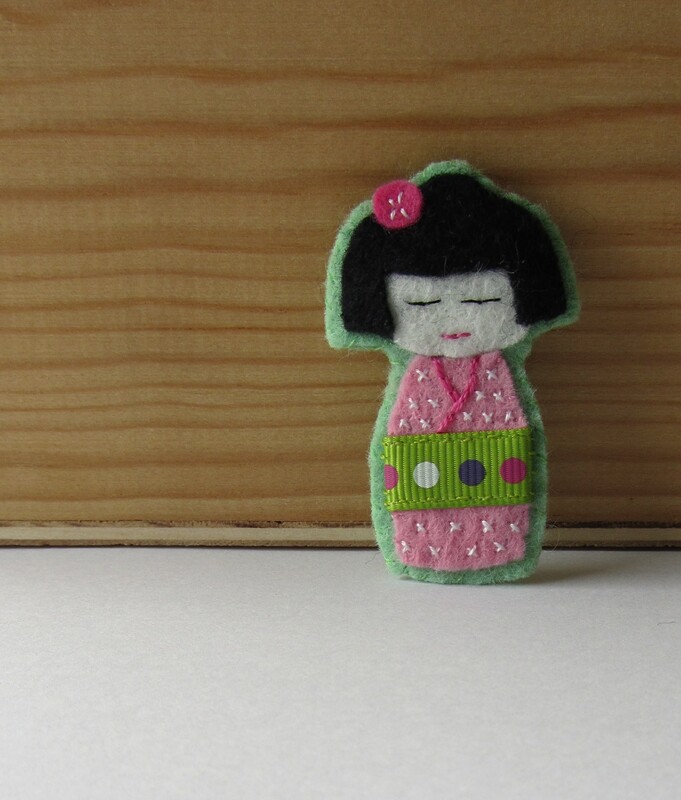 This lovely lady would look great on a coat or jumper with her light pink dress and lime green belt. Check out my Etsy shop .